This is one of those books that will only appeal to a few, but be useful to many. First off it is more directed to the paper,fabric crowd, wallpaper designer. As most of what is discussed isn't needed, other than for say, very busy repoussé metal tile panels of flowers, leaves etc. 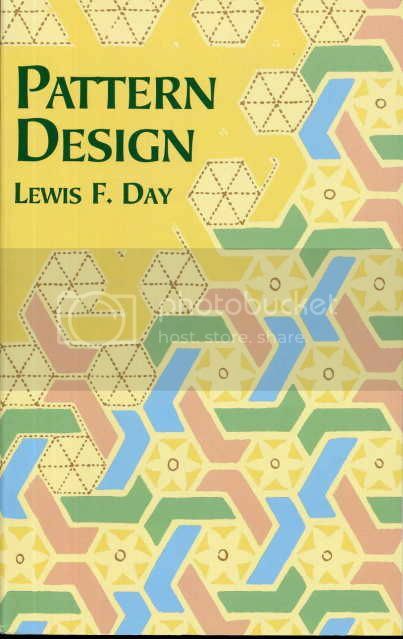 There are a number of early chapters,That discuss what pattern are, the geometry, Then move on to the Square,Triangle,Octagon,Circle. Evolution of patterns, Borders,Pattern planning,Turnover,Drop repeat,Smaller repeats, Scaffoldings( the lines and directions that the repeat motif hangs on). The above would be of interest and help to somebody working with Arabic, Oriental, Celtic designs. Not really all that useful but for a limited cross section of artists if you see it in the catalog unless you fall into one of the above areas. Move on to a more useful book.